Find trustworthy babysitters, baby nurses… even around your corner! Discover the childcarer to make your life easier. Our team, understanding your family needs first-hand, sees that you have access to babysitters, nannies, tutors with expertise, years of experience, excellent references and reviews from other parents. Above all, we meet each professional in person, performing a first valuable pre-check for you! Safety is just one “click” away! Each Verified Member has been through a personal interview where we confirm their personal documents and references. We do not keep secrets! Select based on family’s reviews! Each time a family hires or interviews a candidate they rate their experience. This way the best single out! We make sure you are not kept in the dark! With our Video CV you can watch their live interview, gain a full picture of them and select your best fit candidates! A tool to solve your queries! With just one “click” you can calculate appropriate fees based on their background and years of experience! Browse and compare profiles that meet your needs. Check other parents’ reviews. Mark as favourites the profiles you have handpicked. 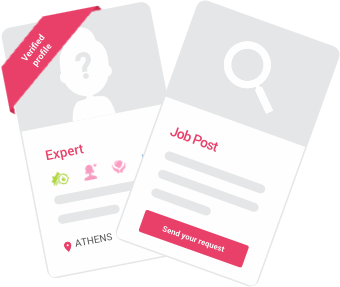 At the same time, you can post a job and collect profiles that are available to work right away. Have you come across profiles that agree with your criteria? Contact them by upgrading your profile to Premium. Look for verified profiles since we have already performed a first valuable pre-check for you. Have a phone conversation, to start with, and then have one in person. Don`t hesitate to contact as many professionals you wish, until you have found the one. Don’t forget to evaluate and review all the profiles you have contacted. Your opinion is valuable to other parents too. As a premium member, you can go on with your queries limitlessly since family’s needs never end, only renew themselves! Verified members have been interviewed by a Nannuka representative and have had their official documents checked for their validity so that you can focus on other things than the paperwork. Together with the online experience comes our team support to guide you through every step of your query. Our team sees that all our members’ references are valid by contacting previous employees. Daily, hundreds of parents meet and review childcare professionals so that you can choose the best. What does the badge "Verified profile" on a babysitter’s profile mean? Parents’ trust and safety while choosing the ideal expert is our main priority. The process of verifying and validating a profile includes a meeting with a member of our team. That way we confirm that the babysitter owns valid contact details and is a real person. During that process the expert submits his ID, driving licence, full CV and copies from degrees and other certifications. How can I get in contact with babysitter? You can contact babysitters easily, in two ways: Browse 1 to 1 to send job requests individually to childcarers or post a job. Do I have to pay to use Nannuka? Signing up, browsing, posting an ad is totally free. 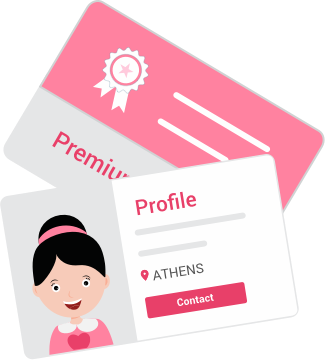 For unlimited request sending and unlocking contacts of professionals who have expressed their interest to your job ad, you need to upgrade to Premium. As a Premium member you have access to unique benefits that will make your life with kids easier. What do the "houses" mean in the babysitter’s profile? 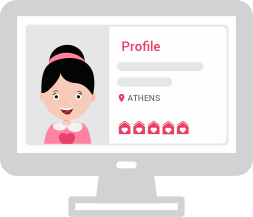 The little houses in each profile refers to the review each expert receives after an interview or a cooperation with a family. It is the average of different ratings.The more “little houses”, the better for the expert. Why should I review a childcare provider? Your opinion counts! Making a review automatically helps another family who is currently seeking an expert for their children. A good review helps a family to trust and choose an expert easier. A bad review, helps parents to avoid a possible unlucky cooperation.